Wars have been fought for it. Treaties and pacts have been formed to ensure it. Men and women have sacrificed everything for the chance to experience it. That “it” is freedom. Martin Luther King, Jr. wrote in his 1963 Letter from a Birmingham Jail that “freedom is never given voluntarily by the oppressor; it must be demanded by the oppressed.” You must demand it, for it will not be given freely. 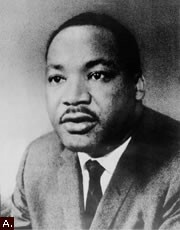 MLK also believed that liberty most often comes to those who petition for it peacefully. There’s a lion-meets-lamb dichotomy to that struggle. Peacefully-achieved freedom is not safe from threat. It must be as fiercely defended as if it were ardently attained. But because of the peace upon which that freedom is built, its integrity is unassailable. 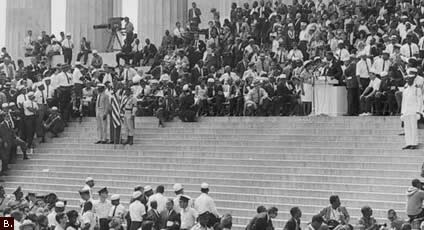 MLK Jr.’s campaign for civil rights proved that nonviolent yet daring challenges to opinion do work. Halt the forward moving arm of oppression extended by those who dare to infringe civil rights. But do so with through the emancipating, redemptive power of human kindness. It’s a strong precedent of pacifism that Dr. King set. It’s influenced many future aspirations to guarantee the fundamental rights and freedoms of people everywhere. You can learn more about Martin Luther King, Jr. and the Civil Rights Movement in Free at Last: the U.S. Civil Rights Movement. And through an act of Congress, a plaque marking the spot on atop the Lincoln Memorial where Dr. King delivered his famed “I Have A Dream” speech. Both documents are available online through GPO’s Catalog of U.S. Government Publications. 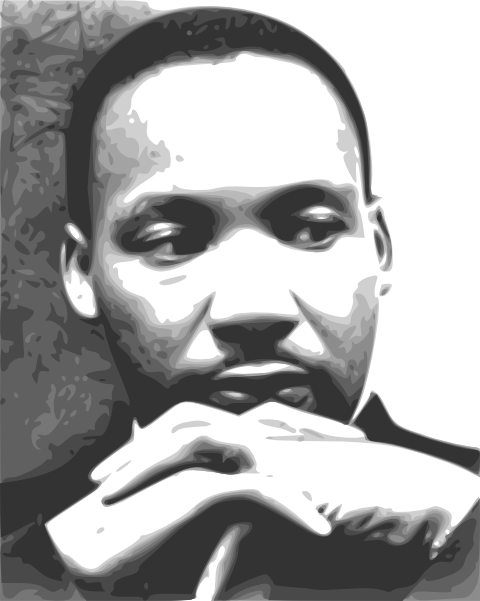 Dr. King’s actions supplied a legacy. And his rafter-reaching speeches remain connected to the idea that all people are, to paraphrase The Universal Declaration of Human Rights, free and equal in dignity and rights. Dr. King’s words remind us of the best of what America has accomplished and implore us to never unfix our gaze from the best of what America can be.